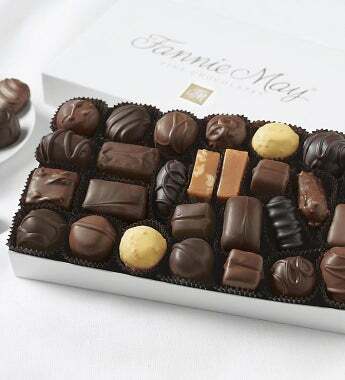 This essential assortment of fine Fannie May® chocolates includes real milk and dark chocolate covered buttercreams, rich nougats, crunchy toffees and more. Give them a taste of what made Fannie May famous. Makes an unforgettably delicious gift. This essential assortment of fine Fannie May® chocolates includes real milk and dark chocolate covered buttercreams, rich nougats, crunchy toffees and more. Give them a taste of what made Fannie famous. Makes an unforgettably delicious gift.